The Omnium Mini-Max is a fast, light, adjustable and manoeuvrable cargo bike. 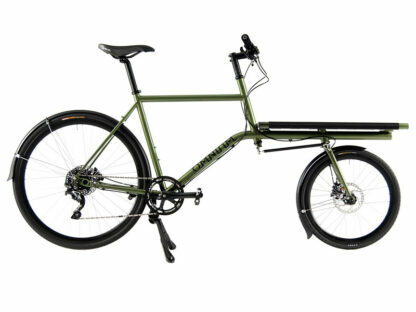 It’s like the classic Omnium Cargo but with a shorter and more compact wheelbase for snappier turns and smaller parking spots. 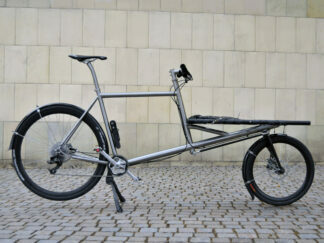 On this page you can choose your own custom build Mini-Max bike or frame. Or go for one of our pre-build kits which are ready to ship. 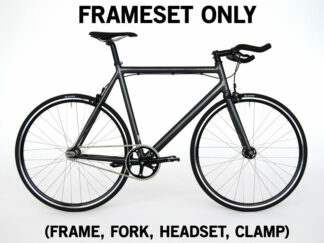 Just follow the configurator below! 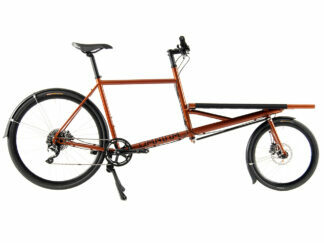 A brand new, complete bike, delivered worldwide. Bike comes nearly ready to ride with just a few basic assembly tasks required. The luggage area can be adapted for cargos of all kinds or various types of child seat. The simple addition of woven latex inner-tubes on your rack makes a strong, shock-absorbing surface that can even hold an adult’s weight. The addition of a couple more inner-tubes means that you can strap down even oddly shaped objects with ease. We also offer our nylon webbing and various other options for cargo racks(Webbing not included).